You may want to have such a custom printed tube packaging box for your cosmetic products as such style is a common trend in the domain. The box is made by 300g recyclable cardboard and double chrome paper of 80g density. 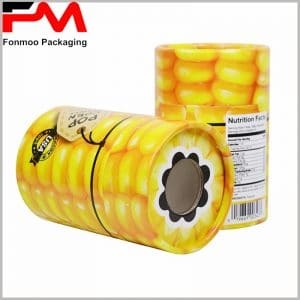 With such high-end material, the tube box holds firm the protection and at the same time ensure a very good visual effect with good decoration. If can be applied for many products, cosmetic mask, facial cream, or cosmetic powder, as they all use packaging box of such stile. The box is printed by full-color technology, with hot silver stamping, and embossing procedure, to realize beautiful rose shape on the surface, which gives a good esthetic effect. Based on the model shown here, you can ask us to apply any modification to achieve your very own packaging box. And, as we are direct manufacturer with years of experience in this domain, we offer flexible condition and the best price possible. Just tell us what you need and let our team finish the job and bring you your very own custom printed tube cosmetic packaging box.